VANCOUVER, BRITISH COLUMBIA, CANADA, November 6, 2017 /EINPresswire.com/ — If you want to make a change, how are you going to know whether it’s effective and how quickly are you going to know that it’s effective? How are you able to evaluate and measure change? 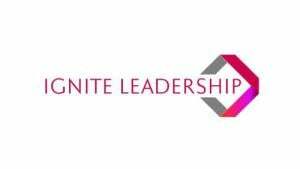 Ignite Leadership International is a consulting and coaching firm that helps organizations implement change. Led by its founder, Catherine Rocheleau, Ignite Leadership has worked with small and medium-sized businesses to improve their leadership for over 25 years. Ignite Leadership combines both the soft skills of interpersonal communication as well as the hard metrics so organizations can see improvements in real time and adapt to today’s ever-changing world in a successful way. Sometimes what businesses think is their problem area is something completely different. Sometimes it’s the systems within the organization, but, says Rocheleau, it will usually start with a leader. Rocheleau says she sees leaders as having lifelong passion and engaging in lifelong learning. Leadership is a role. It’s not necessarily attached to a position. Leaders are the people who support change to making things better. 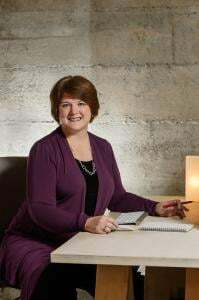 Coming from a background in the food service and healthcare industries, Rocheleau holds a master’s degree in managerial leadership and project management, as a well as an executive coaching certification. CUTV News Radio will feature Catherine Rocheleau in an interview with Jim Masters on November 8th at 4pm EDT. Do you find yourself looking back on your day (or week) and wonder where time went? Is your to-do list getting longer and dreams of success going unfulfilled? You may be busy and doing lots but are you doing the right things at the right time to get the right results? Recently I led a conversation with some clients which pulled some excerpts from Seth Godin’s best selling book, The Dip. This book looks at those time when you face minor set-backs and lack the excitement when you first began pursuing that goal. What stops you from moving forward? How can you rekindle that passion to take the next steps? This conversation really resonated with me as I faced a major, life-changing event last summer which has had a huge impact on my own passion. My goals are still there, and the passion to pursue them and not take a different direction, still exists, yet taking the first step seems more like a giant leap. This forced me to look at the tips I give my coaching clients when they are facing their own “dip”. I encourage others to use time blocking to focus on those tasks that are a high priority and high importance to reaching goals, yet may not be part of your day-to-day focus. Time blocking is the term given to setting aside a specific time in your calendar to complete a specific task — an appointment with yourself and your goals. Yes, it’s a calendar entry and can be easy to blow off when you are busy with other things in your business, but aren’t you and your goals worth some time too? The advantage of booking it in your calendar, is you won’t book another meeting during that time. Once the time is blocked into your calendar, the next step is to set yourself up for success. Part of the process is to include some time each day (either at the beginning or end of the day) which you dedicate to preparing to work. This includes pulling the tools and resources together that you need to do each job so they are on-hand and you won’t waste time searching. When its your blocked time, the goal is to focus on getting things done! What I have found is that when I block the time, I am 10 times more likely to do what I’ve planned, than if I only had it on a to-do list. More importantly, when the time is assigned to a task I really don’t enjoy doing, I know I only have to spend those few minutes and I can then move on! It’s amazing what you can accomplish in short periods when you eliminate the distractions. Here are a few tips to making time blocking work for you. Identify small tasks that don’t take very long (i.e. 5 minutes or less) that you can do when you have a few free moments. I do these items while on the bus, or when I arrive early to an appointment. It always feels great to just get them done. Some things I do is return emails, post to social media, enter expenditures into Quickbooks Online, update Trello with tasks that come to mind etc. Always plan prep-time each day. Use this time to review your day and the next day, and to pull together the information, tools and resources you will need to complete the tasks scheduled. Determine the length of the each block. Each block of time doesn’t have to be equal. I find 20 – 30 minutes to be ideal and more motivating than long blocks. The longer the block the more easily you can become distracted. Set a theme to each block. You may want to focus on client calls or writing articles, or creating social media posts, or working on a new program for clients. It’s ok to be a bit broad in the description in your calendar. The more definite details can be determined during your daily prep-time. Recognized your own patterns. If you’re not a morning person, maybe its better to schedule creative tasks later in the day. If you need quiet and are an early riser, schedule these tasks first thing in your day. When you schedule creative tasks at times when you are more likely to be productive, you will get more done! Stick with your blocked time schedule. This may feel rigid but if you are going to achieve your big goals and be successful, its important to stick with your plan. As the saying goes, you won’t regret what you did, you will only regret what you didn’t do. The time you block is “your time” and just as important as your client appointments, fitness time, etc. Avoid distractions. Turn off the ringer and notifications on your phone and computer. Clear your desk so other distractions are not within eyesight. The goal is to focus on the one task you planned. Set a timer. You can use a kitchen timer or a calendar reminder on your phone – whatever works for you. I find people really like the time when they are doing something they don’t like doing. The timer lets you know when you can stop! It may sound counter-intuitive but it works. If you’ve hit a wall, then you have given yourself permission to stop and move onto another task. If you are on a roll when the timer goes, feel free to keep going! Keep detailed notes of what you have done and what you still need to do. Just like your prep-time, your notes offer you great feedback on what lies ahead so you can “get in the groove” and take action quickly. Switching your mind from one task to another can be challenging at the beginning. Your notes help you know where you left off last time and where to begin today. I use Trello to keep notes on my activities and have checklists to mark things off. My notebook allows me to just write or draw thoughts and ideas and keep them in one place. Take pictures of your notes and upload into Trello or Evernote. Celebrate your successes. It’s important for you to recognize your efforts when you reach a milestone. What treat or “self-reward” will you enjoy when you reach each milestone as you move through your “dip”? If you are struggling to reach those big goals or keep hitting a wall and unable to push through it, book an Ignition Call where we will explore what your biggest obstacle is and how you can take the first step forward. Contact us today! I am sure many of you remember when the newswire was buzzing with the lone-wolf behaviour of one of the (Canadian) Tenors during the signing of Canada’s national anthem at a All-Star baseball game in San Diego in July. During the anthem, Tenor Remigio Pereira substituted words to make a political statement. This change was made without prior knowledge of his fellow quartet members. The backlash has been huge and now the future of the Tenors is in question. were his actions self-motivated, but the timing of his message was poor and the desired result not what he intended. This is a very public example of how one member of a team can have a significant impact on the team. In the case of the Tenors, trust was broken, member of the group no longer want to perform with Mr. Pereira, and their future must now be re-created. Within most businesses, there are teams which are key to creating and sustaining the business, its reputation with customers and its internal culture, to name only a few factors. When someone on a team does something rogue these three steps can help salvage the situation. Act swiftly — If the rogue behaviour has the ability to cause damage, your swift and decisive action is vital to making a wrong a right. A rogue act requires you to step in, initiate an impartial investigation to determine the facts and to hear all perspectives. Sometimes a 3rd Party is needed to conduct this investigation. The investigation should be quick and to the point so next steps can be taken quickly. Be transparent — In all actions and communication associated with the incident, it is important to communicate clearly and often so everyone within your team, your business, and key stakeholders understand what is happening. You don’t want to breech confidentiality or individual rights, but you also don’t want people second-guessing you. When you are transparent with the rogue team member, they also know where they stand and what actions will be taken and what to expect. Transparency and frequent communication goes a long way to build trust, repair your reputation and minimize the negative impact the rogue actions could cause. Follow Through — Once you have dealt with the situation, its important to follow-through. This means confirming the conclusion of the incident, ensuring all actions plans identified to prevent a repeat are in place and to check in with each member of the team or key stakeholders to get their perspectives, feedback and comments. This debrief process is often over-looked, yet I have found it to be the most important. Sometimes you can’t repair the damage done and a break-up is the right thing to do. When this happens, the swift action, transparency and follow-through will help you re-focus on the future and take the right steps forward. We have lots of experience assisting organizations during and after a critical incident. Contact us to learn how we many assist you. Are you ready to “Hit the Ignition Switch“? and take action in your business? If the summer brings a slower pace and, in many cases a lower income, then this program is for you!!! It’s time for you to capitalize on this unique opportunity… a slower pace and more time to focus on your business needs instead of only your clients needs. As a long-time entrepreneur, I have changed the tides in my business using my proven system and now enjoy steady business income year round… even when I take time away!